Tasman have won 100 rucks so far this game. Isaia Walker-Leawere has made 10 good tackles so far this game. Jackson Garden-Bachop curls the ball too far, missing the posts to the right. What a run here by Thomas Umaga-Jensen as they gets over the gainline!. Ben Lam sets up the try. Taina Fox-Matamua has made 10 good tackles so far this game. Slick passing by Wellington leads to a try for Thomas Umaga-Jensen. Quinten Strange has made 10 good tackles so far this game. Tasman make a substitution with Tim O'Malley coming on. Tasman make a substitution with Levi Aumua coming off. Tasman sub Ryan Coxon comes onto the field. Wyatt Crockett departs for Tasman. Teariki Ben-Nicholas has made 10 good tackles so far this game. Carlos Price comes on for Wellington. Kemara Hauiti-Parapara leaves the field. Wyatt Crockett has made 10 good tackles so far this game. Mitch Hunt has hooked the conversion to the right of the posts. Mitch Hunt sets up the try. John Akau'ola-Laula makes the break as the defence re-enacts the parting of the red sea. Incisive passing by Tasman is finished off by John Akau'ola-Laula, as he goes over for the try. Fabulous play by Tasman has led to Ray Niuia being able to wriggle through a gap. Jeff Toomaga-Allen has made 10 good tackles so far this game. Tasman decide to make a substitution, with John Akau'ola-Laula getting some game time. Tasman make a substitution with Ray Niuia coming on. Tasman make a substitution with Andrew Makalio coming off. Teariki Ben-Nicholas sets up the try. Silky skills by Wellington ends with a try for Galu Taufale. Trouble here as Will Mangos breaches the defence. 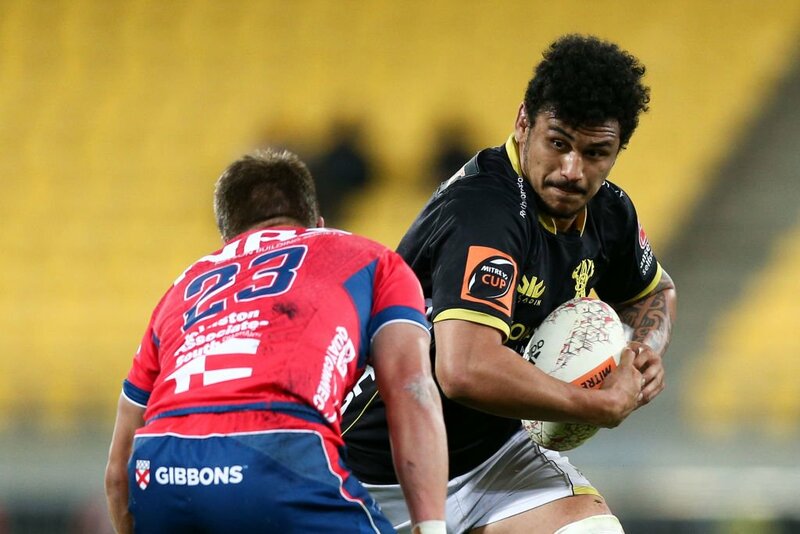 This is dangerous for the defence as Malo Tuitama bursts through to advance the Wellington attack. A gap opened in the defence and Finlay Christie took full advantage. Tasman sub Alex Nankivell comes onto the field. Tim O'Malley departs for Tasman. James O'Reilly comes on for Wellington. Asafo Aumua leaves the field. Oh what a hit by Billy Proctor, stopping the ball carrier in his tracks!!!!. Galu Taufale has made 10 good tackles so far this game. Billy Proctor has made 10 good tackles so far this game. The defensive line has been broken as Teariki Ben-Nicholas goes through the gap. Mitch Hunt curls the ball too far, missing the posts to the left. Spellbinding play by Tim O'Malley is finished off with a try. Tasman are only a few metres out, surely they must score! And they do with Jacob Norris touching down. What a run here by Ethan Blackadder as they gets over the gainline!. Tasman decide to make a substitution, with Tim O'Malley getting some game time. Tasman decide to make a substitution, with Alex Nankivell being replaced. Tasman make a substitution with Alex Nankivell coming on. Tasman make a substitution with Will Jordan coming off. Mitch Hunt makes the break as the defence re-enacts the parting of the red sea. Mitch Hunt has hooked the conversion to the left of the posts. A wonderful passing move by Tasman is finished off by Solomon Alaimalo. Tyrel Lomax has made 10 good tackles so far this game. Trouble here as Xavier Numia breaches the defence. Du'Plessis Kirifi has made 10 good tackles so far this game. Wellington sub Will Mangos comes onto the field. James Blackwell departs for Wellington. This is dangerous for the defence as Solomon Alaimalo bursts through to advance the Tasman attack. Jacob Norris has made 10 good tackles so far this game. Galu Taufale comes on for Wellington. Mateaki Kafatolu leaves the field. The defensive line has been broken as Malo Tuitama goes through the gap. What a run here by Xavier Numia as they gets over the gainline!. That's a great try assist by Isaia Walker-Leawere. 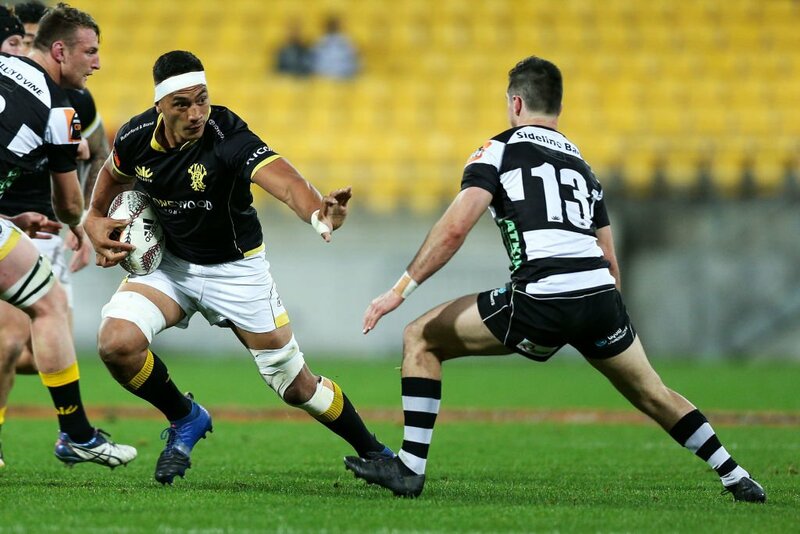 A series of passes by Wellington results in a try for Xavier Numia. Solomon Alaimalo makes the break as the defence re-enacts the parting of the red sea. Fabulous play by Wellington has led to Losi Filipo being able to wriggle through a gap. Tima Faingaanuku sets up the try. Great hands by Tasman leads to a try for Finlay Christie. Mitch Hunt kicks the penalty. A gap opened in the defence and Kemara Hauiti-Parapara took full advantage. The defensive line has been broken as Wes Goosen goes through the gap.